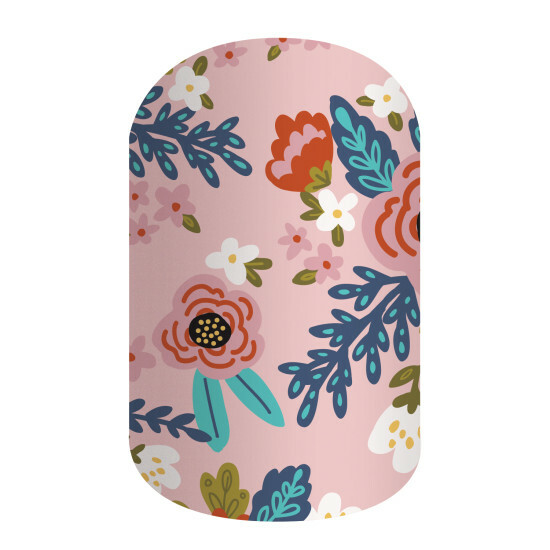 You may remember me talking allll about Jamberry Nail Wraps a little while ago. Well, since then my beautiful twin sister has become the ultimate in Girl Boss and set up her own Jamberry business. Each month she'll be sharing her wrap of the month, exclusively here! So shall we get started? Over to you.. Chloë..
With over 300 designs to choose from my favourite Jamberry wrap seems to change on a daily basis. But... ever since I saw copper sea in the new catalogue sneak peek I have absolutely fallen in love with it! 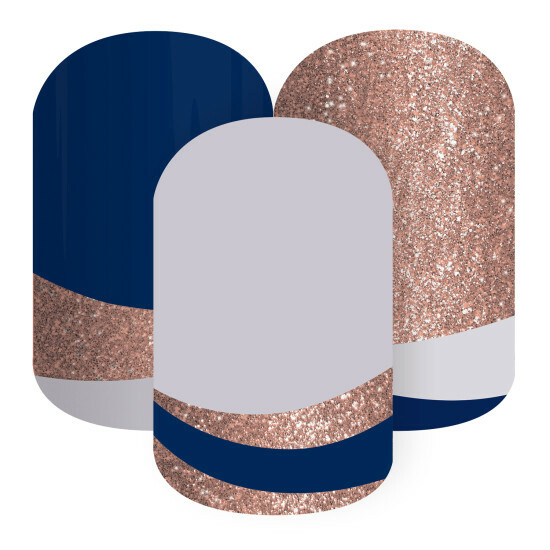 I'm a huge fan of navy so it ticks that box... and my motto in life is if in doubt add glitter so yeah that box is ticked too. Plus the designs on the wrap sheet mean you can wear the glitter in a really understated way if it's not you thing! It's just such a classy wrap. I have a few weddings coming up this year and I think this is definitely on my list for wedding manicures! Even better it pairs beautifully with some of our other wraps. I'm thinking it'd make a great accent nail with sapphire and I've also seen it paired with one of my other favourite wraps kimono. Shop the full range at my shop or find me on facebook Mayberry Jamberry. Thank you Chloë, see you next month.